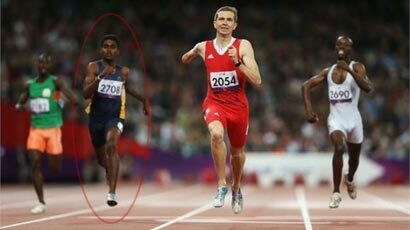 Pradeep Sanjaya won the first ever medal for Sri Lanka at the Paralympics by winning the Bronze medal in the Men’s 400m T46 event at the London Paralympic Games. Austrian Matzinger Gunther won the Gold Medal with the timing of 48.45 seconds and Brazilian Nascimento Yohansson won the silver with the timing of 48.21 second. Pradeep Sanjaya end the event with timing of 49.28 seconds and it was read as a new Regional record.